What a completely middling episode to end a season of mostly misfires that yet managed to uncover a few gems amidst the rubbish. While Bonnie continues her rampage to destroy all vampires (which FML for her also means all her friends), some of them try their best to get back into the Armory she sealed shut, because (FML for them) the only artifact that will free her from the spell is locked inside with the unnamed demon that can never be freed. Enzo makes another big romantic gesture in daring her to pinpoint her psychic awareness on him long enough to allow the others to succeed at their desperate and foolish goal, but is that a plan he can survive? Throwing caution to the wind he goes to their hidden cabin and cooks an excellent dinner to try and conjure up the memory of their last three blissful years as a passionate couple, a reality that was of primal importance to both of their lonely lives, but it doesn’t work. She can’t stop herself from trying to kill the man she loves, and he refuses to fight or protect himself while she tries. The surprise chemistry and high-stakes avowals of Benzo is one of those gems they found, as both characters make more sense and have more agency than in many previous seasons. Meanwhile, at the old campus hangout, I mean the Armory, the best way to get into the cursed building is having a heretic witch drain its magic. 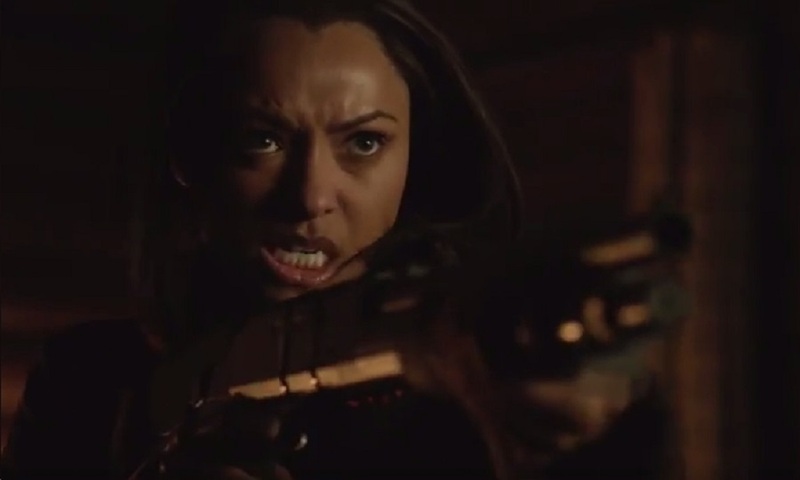 Since they’re all dead but Valerie, whom they can’t find because Stefan is such an idiot, they resort to Alaric and Josette’s daughters, which is just the morally squickiest choice they could make. What if the monster burst out immediately they opened the doors, devouring the girls in its wake? Unforgivable, but Caroline rationalizes that she can’t have her half-formed family tormented by Bonnie for years to come and a lesser of two evils sort of thing, which is made all the weirder by how she basically guilt trips the adorable poppets into doing what they’re not supposed to do this one time to save Mommy. Which, since Alaric calls off their engagement, won’t she be leaving them anyway? Bonnie, in her cursed zeal, also leaves Matt to bleed out in a woody ditch where he crashed the car trying to keep her from killing anyone. He has an illusionary final goodbye with Penny (okay, probably a real ghost, as she points out), who even makes fun of his poor gun skills. Creepy but sweet, to show that she doesn’t blame him (though she should), and he survives to go back home one more time and leave town forever. No Sherriff Forbes he, after all, who stuck with her vampire-ridden Mystic Falls until cancer did her in. Well, he can always look up Jeremy and Tyler I suppose, or maybe Beks Mikaelson? What happens in the Armory? I wish I could tell you because pretty much all of it is cliffhangers for next season. Which is just way too manipulative, even for this show of shocking plot developments. 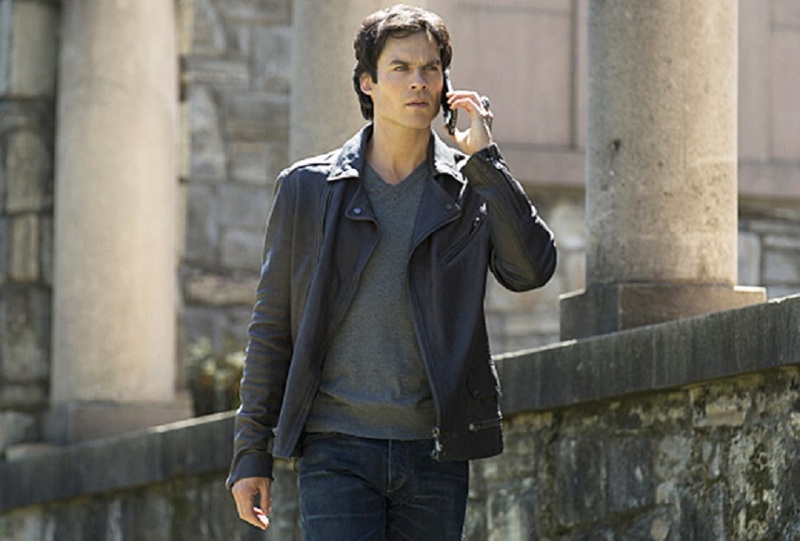 Damon gets into the vault, because the door was left open. He talks Stefan out of going with him, because he has to atone for all of his mistakes this season (which were actually much more minor than many of his already forgiven mistakes from the past). When he goes in, he finds the artifact he needs pretty easily (because Ultimate Evil collected all the good ones out of their nice cases and into the dankest of caves? ), freeing it from its coffin and setting the “final everlasting” on fire. This frees Bonnie for just long enough not to puncture Enzo’s heart with the remnants of her guitar, and now we’ll get jokes about her complete lack of musical ability again, yay! Only not so fast, because something is in there, and it grabs Damon before we see it, and also gets Enzo when he comes looking too. And is Enzo has Armory security clearance, apparently they also escape? In several months’ time, there is a killing spree under way, but we won’t find out why for our own passage of time. 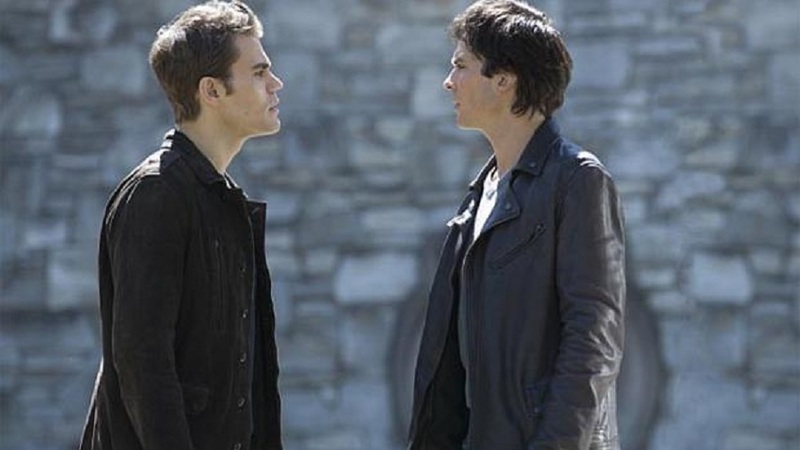 It was stupid to let Damon go in alone, stupid of Enzo to come after him alone, stupid parents who let kids get so close to danger, and a really stupid speech between brothers about how bad one is while the other is so good. Which is just their delusion, they are both equally bad, admit it show. The show had to deal with the loss of its main character and a pregnancy leave of absence for another important one this year, and yet it tossed out the family arc with the brothers it was building toward in the previous season for an underwhelming pre-midseason mini-climax. The season 6 finale ended with Elena as sleeping beauty, but the excitement of having a lovely rustic wedding interrupted so dramatically by Kai’s rain of Heretic Witch Vampire Werewolf vengeance was just beyond amazing on many levels. Meanwhile, this year, Bonnie and Enzo stepped up and made their mostly off-screen love completely believable in the last five episodes. But otherwise, Caroline might be into Stefan again, Alaric is a single dad, Matt and Valerie are in the wind, and we’ll probably take two episodes to figure out just what happened to Damon and Enzo, which we can’t do now because literally nothing at all has been revealed about the never seen Big Bad. And I’m sorry, but that’s just cheating.